I need some advice on how to get things going for youth who have lost interest in church. I’m looking for ways to find a good way to teach the youth and children God’s Word. I am supposed to find a curriculum for the children, as well as the junior high and high school youth. I thought I’d ask you for your advice. Personally, I don’t believe that starting a youth program is the solution to getting youth interested in church. Plus, ultimately the goal isn’t to get them interested in the church, but rather to train them to become people who are willing to give up everything to follow Him. I’m sure you’d agree. If that’s the case, then loving His church (which, as you know, is different than loving church services) will come as a result rather than being the goal itself. So rather than measuring their interest level and participation in church, maybe we should be measuring something else and putting a different system in place besides programs and fun events to help them get there. Thankfully, scripture has already given us both the measurement and the system, not just for youth but for believers in general. God’s system for passing fruit to the next generation, especially spiritual fruit, is the family. Again, this is traced throughout the Story, starting in the garden when He gave that blessing to a family (Adam and Eve), chose to bless the families of the world through a family (Abraham), and reiterated throughout the Passover teachings (Deut. 6:6-8, 20-25) that it is “permanent law that you and your descendants must observe forever” (Ex 12:24) for the purpose of passing faith to children. Ensure that the Lord has captured the hearts of their fathers. Help fathers deepen their belief in their spiritual role in the family (not just learn more about it, but actually deepen their belief). Equip them to pass that faith, especially fathers who never had it passed to them from their fathers. So rather than treating the symptom of spiritually apathetic teens, treat the root. Yes, devote your time and energy to teens who are spiritual orphans, but realize that creating a spiritual orphanage is not the long-term goal, especially not for teens who have parents who are already believers. By dealing with the youth issue through the fathers and families, you’re not only honoring God’s design for family and passing faith (many churches have the audacity to think they have a better system), but instead of influencing a single generation of students, you’re potentially altering the trajectory of a family tree. God’s designed for every teenager is to have built-in youth leaders at home in the form of their parents. Yes, sin causes God’s system to break down, but I believe we should do our best to honor it as much as possible while longing for the day when He will restore all brokenness. 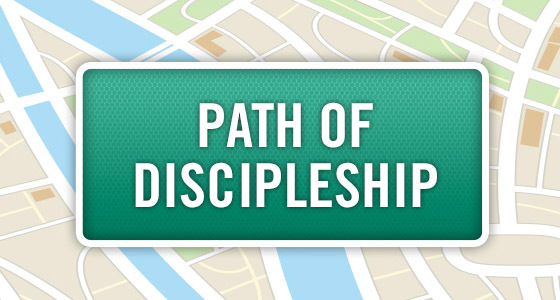 To fulfill the request of the church’s leadership, though, maybe see if you can have some fruitful dads lead the class and have them talk about their faith, remembering that the role of a pastor is not to do the work of the ministry for the people, but to equip them to do it so the body becomes mature (Eph 4:11-13). If the fathers need a springboard for that, maybe consider having them start in Genesis and work through God’s Story. Sounds basic, but scripture in the hands of fruitful parents who are following the leading of the Holy Spirit is one of the most powerful things teenagers can ever experience.